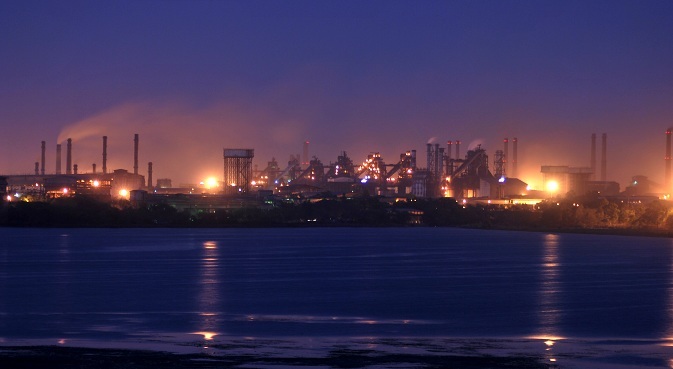 Bhilai’s steel plant is India’s largest producer of rails and wide steel plates. More than 50 years after the plant was built, the warmth for Russia and Russians is still in the air. At first glance the city of Bhilai located in Chhattisgarh, looks like any other mid-size industrial town. On broad streets, there are endless shops, hotels and restaurants and billboards advertising real estate and academic courses. It’s hard to believe that 50 years ago, there was nothing but paddy fields and a few village houses here. The closer you get to the Bhilai Steel Plant, the greener the surroundings. Thousands of trees planted in last 50 years make the township of 30,000 people, a good place to live, study, work and socialize. Bhilai district, having large iron ore reserves, was one of four locations chosen by the Indian government for setting up steel plants in the late 1950s. The Bhilai plant and the Bokaro Steel Plant in Jharkhand were commissioned with Soviet collaboration while Rourkela Steel Plant in Odisha and the Durgapur Steel Plant in West Bengal were set up with German and British assistance respectively. Today all plants are integrated in the public sector Steel Authority of India (SAIL) that accounts for over 40 percent of India's crude steel production. The agreement for constructing Bhilai plant was signed with the Soviet Union in 1955 after Indian Prime Minster Jawaharlal Nehru visited Magnitogorsk, or Magnitka, the capital of Russian iron and steel works. “When Nehru travelled to the USSR, India was in the process of choosing the partner for a steel plant in Bhilai. At that stage it was important for India not only to get assistance in the set up, but the technology transfer,” Vijay Mairal, DGM (PR) at Bhilai Steel Plant says. The first blast furnace of the plant was commissioned by the first president of India Dr Rajendra Prasad in 1959. Since then, the plant underwent two major expansions in 1967 and 1988 and is currently undergoing another expansion, which would give it the capacity to process 7 million tonnes in annual crude steel production. Senior engineers worked at Bhilai, Rourkela and Durgapur plants note that an important aspect of Soviet technology transfer was the system of preventive maintenance achieved by heavy staffing and narrow specialization. Another feature of technology transfer was Soviet parallel management at Indian steel plants. Both Soviet and Indian specialists had parallel executives working in tandem for the chief positions. While in case Rourkela and Durgapur the Germans and British personnel left in two-three years after the plants started, Soviet engineers stayed in Bhilai for decades. No wonder that elder generation of Bhilai workers still has a soft spot for Russians and their professionalism. The story of Konstantin Khabarov (1925–1993), a famous blast furnace operator of the Magnitogorsk steel plant, who was involved in launching of blast furnaces at both Bhilai and Bokaro, is revealing. In his memoires shared with Magnitogorsk Metal newspaper back in 1980s, Khabarov recalled being sent to Bhilai along with three other engineers to solve a major problem that occurred as result of a mistake of inexperienced workers. “Due to some mistake the cast iron solidified in the furnace. It was too serious. The British, German and US experts advised to dismantle and rebuild the blast furnace. It would have taken at least a year to do it,” he said. The team of Russian operators spent days and nights at the plant and did the impossible: in twelve days the dead blast furnace was operational. Since then Khabarov was called “the volcano man” among Bhilai workers. Kishore Kumar, from Dhamtari district, worked at Bhilai Steel Plant for 40 years. “I joined in 1959, when the construction was still on and hundreds of Russians were there. I was very young that time, and before starting the job spent several years in training,” he says. Although he was a perfect employee and never took any leaves, in 1988 he was charged with theft and jailed for ten days. “A serious theft happened in our department and someone conspired against me. After spending ten days in jail I was about to commit suicide. But my faith in God helped me,” Kumar recalls. After a struggle for justice he won the case in High Court, joined back in 1995 and retired after four years. S C Paul has been with Bhilai steel plant for past 30 years. He says the plant has changed lives of many people not only of Chhattisgarh (part of Madhya Pradesh state before 2000), but the whole country as people from various states – Kerala, West Bengal, Punjab came to work here. “By the time I joined the plant, in 1980s, most of the Russians left, only few of them were still living in the ‘Russian sector’. We would bring them game from the forest, and they would treat us with home-made wine,” S C Paul recalls. Many plant employees and their children got the opportunity to visit the USSR and study there. She recalls travelling all over Russia, from Moscow to Sochi to Batumi. “I still have friends in Moscow, so I keep practicing Russian language. My husband and I speak Russian at home sometimes,” she says wuth laughter. The cooperation between Russia and India in the steel industry has never ended. Russian engineers conduct maintenance and modernization projects, and help in investigating accidents, including the recent gas leak that happened at the plant in June 2014. “Russians have always been good at blast furnace technologies. So we have Russian experts maintaining not only Bhilai but other SAIL plants,” Vijay Mairal says. According to Russian Trade Representation in India, various projects are being realized under umbrella of Tyazhpromexport OJSC (TPE), including maintenance and development contracts in Bhilai, Rourkela, Durgapur, Bokaro, Visakhapatnam and aluminium plants in Korba. At present TPE and McNally Bharat Engineering consortium are setting up sinter plant-3 of Rashtriya Ispat Nigam Limited (RINL), the flagship company of Visakhapatnam Steel Plant. Earlier in August, heavy machine producer Uralmash won tender for sinter plant modernization with Vizag Steel Plant. According to Uralmash press statements, the company has also signed a three-year contract with Steel Authority of India Limited for supplying 4000 tonnes of rollers for cold rolling at Bhilai, Bokaro and Rourkela plants. The first 600 tonnes will be delivered before year-end.